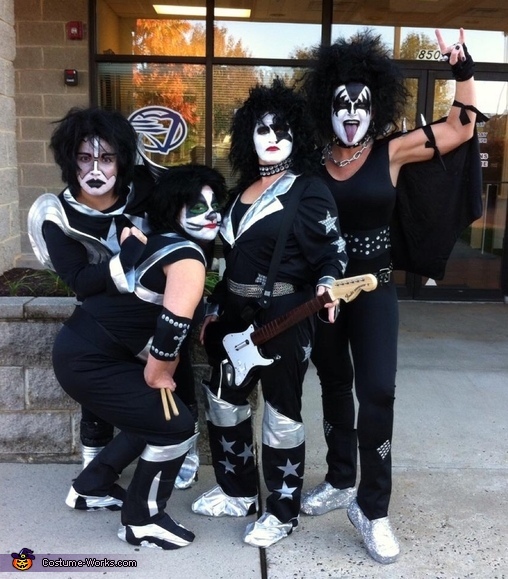 At work we decided to be KISS for Halloween. I was Gene Simmons. Our costumes were bits and pieces glued together. For my boots I used platform flip flops with duck tape and glitter and glue. We bought our wigs and each did our own makeup!